I have obtained a M. Sc. in Physics (Gold Medal) degree from Islamia University Bahawalpur in 1981 and a Ph. D. degree in Computer Science from University of Southampton, UK in 1996. 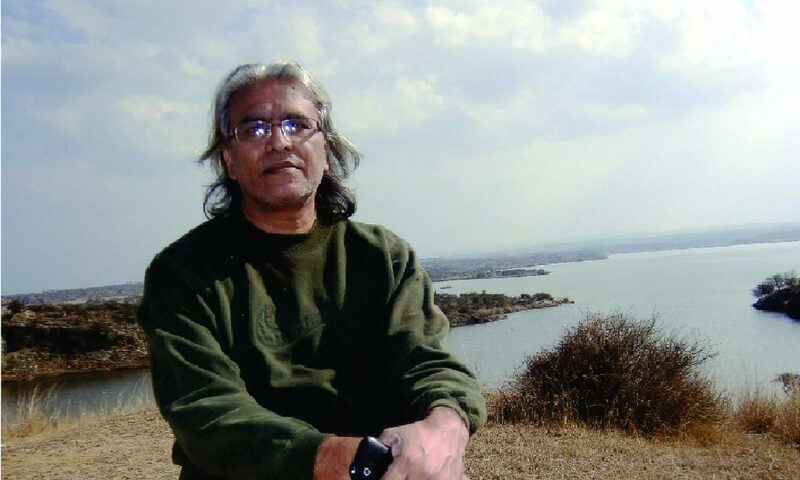 I have more than 30 years experience in tertiary education, ten of which have been in strategic leadership positions, including as Professor of Computer Science and Dean, Faculty of Computing & Information Sciences, Imperial College of Business Studies, Lahore; Professor of Computer Science and Director, Division of Science & Technology at University of Education, Lahore; Pro-Rector of Dadabhoy Institute of Higher Education, Karachi. 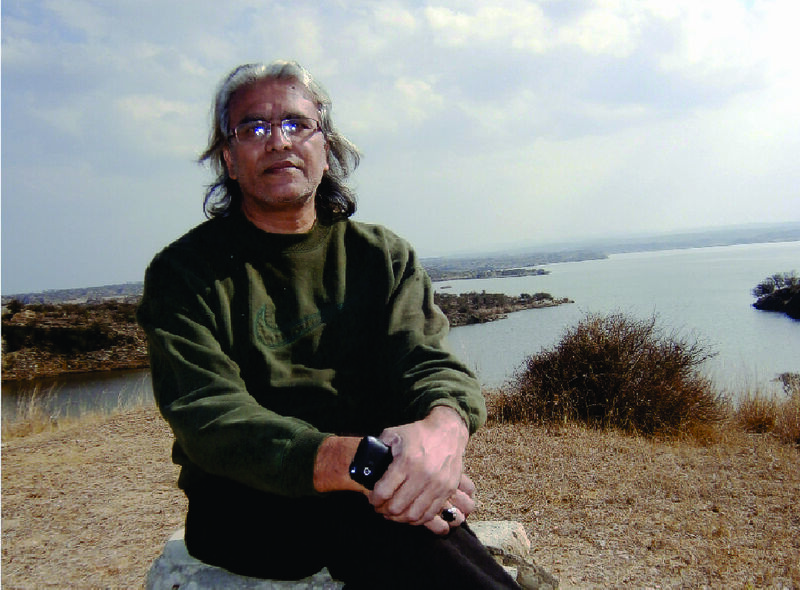 Director, Institute of Computer Sciences & Software Engineering, The University of Lahore; Dean, University of Central Punjab, Lahore; Advisor to the Vice Chancellor on Information Technology, University of the Punjab, Lahore; Principal, Punjab University College of Information Technology, University of the Punjab, Lahore; Professor & Pro-Rector, Dadabhoy Institute of Higher Education, Karachi. I also have the honor to work as Vice Chairman, National Computing Education Accreditation Council (Pakistan); Chairman Inter Universities Faculty Board for Policy and Framework Development of Computer Science and Information Technology Degree Programs (Punjab, Pakistan). In addition, I have worked in various academic and administrative committees of public as well as private universities performing diverse nature of assignments. Presently, I am member of the Chief Minister’s Committee to “Develop a Vision for Information Technology in Punjab”. I have delivered various teacher training workshops and taught at undergraduate and postgraduate levels, supervised postgraduate students and published 40 papers in national & international journals & conference proceedings. Knowledge Management, WWW Multimedia Content Management, and Artificial Intelligence are the key areas of my interest. I have attended various national & international professional trainings, conferences and took part in international ICT consultation sessions in Cambodia and Bangladesh in 2005 and 2006 respectively. Skills as Verbs, Nouns, And Adjectives/Adverbs. What would you like to say: “They have no skills” OR “Everyone has skills. ” We are all born ‘skilled.’ Watch a baby carefully and see his activities. This will give you the answer of questions, like What are these skills? What can we offer to the world? Basically there are three kinds of skills that we have: skill as verbs, skills as nouns, and skills as adjectives/adverb. Some of your skills are verbs. These skills represent your actions. These skills usually related to one of three domains: people, things, or data/information/ ideas. These skills are also known as Functional Skills or Talents. For example, acting, calculating, constructing, communicating, driving, swimming, sewing, persuading, motivating, memorizing, negotiating, organizing, planning, researching, synthesizing, etc. Functional skills are your strength. These are transferable skills and with some efforts you can learn. Sometime these skills can be gifted. For example, some people my born with good negotiation skill. And if you are not born knowing how to negotiate; you can learn/acquire how to do it as you grow. You may wonder, but your vocabulary is an important skill. It is your Work Subject Skills, or Knowledge Skills. For example, apple, antiques, auto mobiles, contents, computers, colors, data, flowers, farm equipment, fashion, images, graphics, the stock market, etc. You learn these subjects over the years through apprenticeships (formal or informal), school, life experience, books, or from a mentor. It doesn’t matter how you learned them; you did. This knowledge is stored in your brain and you can use it in problem solving situation. Normally, you use it to develop your expertise to offer to the world. The third type of skills relate to your Personal Trait Skills and are adjectives or adverbs type. Like: accurate, adaptable, creative, dependable, flexible, methodical, persistent, punctual, responsible, self-reliant, tactful, courteous, kind, etc. Trait is a distinguishing but stable characteristic or quality that causes a person to depict a response to any situations. In 1936, Psychologist Gordon Allport discovered that more than 4000 words in an English language dictionary describes personality traits. Allbort viewed traits as building blocks of personality. According to him, there are three classes of traits. Cardinal traits are the traits around which a person organizes his whole life. Allport suggested that these traits are developed later in life, and are in fact quite rare. But, these traits play such an important role in a person’s life that they often become synonymous with the names of the person. For example, greed, lust, kindness, narcissism. Central Traits which represent individual’s major characteristics. These can also be considered as the characteristics that lead to the foundation of an individual’s personality. Example of central traits: shy, anxious, intelligent, dishonest. Secondary traits refer to the general behavior patterns that only appear under certain circumstances. An example would be getting nervous to speak in public. Here are some examples of character traits. Use this list to discover more about yourself and your personality. Intuitive Skills. Being good with the part of the world that cannot be seen. You understand people’s feelings, you understand your own feelings, and you have a strong tie to faith and prayer. Recently, the School Education Department, Government Punjab has announced various positions of Senior Elementary School Educator in Computer Science & Secondary School Educator in Computer Science. Unfortunately, Software Engineering graduates are declared ineligible for these jobs due to the word “Engineering” which appears in the title of their degree. It has created a depressing and heart breaking situation for these graduates. In this regard, I would like to submit following humble submissions for kind consideration of concerned authorities. Computing is an interdisciplinary discipline that crosses the boundaries between mathematics, science, engineering, business, and social sciences. Before 1990’s, computing was limited to three disciplines – Computer Science (CS), Computer Engineering (CE), and Information Systems (ISs). By 1990s, the global community realized that the field of computing had grown in many dimensions and the discipline of Software Engineering was added in the computing domain. By the end of 1990s, once again, the academia realized that the existing computing degree programs were not producing graduates who had the right mix of knowledge and skills to meet organizational challenges. Consequently, the discipline of Information Technology (IT) was introduced. Presently, almost every public and private sector university offer various degree programs in computing disciplines. Two National Accreditation Councils evaluate, scrutinize and monitor the standards of education in these institutions. Pakistan Engineering Council monitors Computer Engineering discipline, whereas National Computing Education Accreditation Council (NCEAC) looks after matters regarding, Computer Science, Software Engineering, and Information Technology. It is important to point out that the term “Engineering” present in the title of “Software Engineering” degree does not make it an engineering degree. According to ACM and IEEE-CS, the most prestigious international bodies, Software Engineering is a computing discipline. At international universities, Software Engineering degree is offered by their computing departments. Due to these reasons, Pakistan Engineering Council (PEC) does not deal with SE programs. PEC develops curriculum for Computer Engineering programs. It would not be out of place to mention that HEC has constituted the National Curriculum Revision Committees of CS, IT and SE. These committees jointly publish the curricula of BS/MS/Ph.D. programs in CS, SE, and IT. Through an extensive consultation, these committees have identified some areas of unification among curricula of CS, SE and IT and have defined a common nomenclature for BS programs based on two criteria: i) Common courses in all disciplines. ii) Domain specific courses in respective discipline. Body of Knowledge (contents) covered in these common courses aims to build essential knowledge, skills, and background that can help students to study advance courses and to join a variety of professions that have employment opportunities for computing graduates. Whereas, Domain specific courses provide a more in-depth knowledge of the domain and develop advanced skills required to perform specialized task. The table shows that out of 130 Credit hours, almost 82 Credit Hours Courses fall in the category of common courses. In particular, the common computing core courses of 43 credit hours mainly focus on developing students’ knowledge and skills which are required for Senior Elementary School Educator in Computer Science, Secondary School Educator in Computer Science and Computer Science Lecturers in Colleges. In the light of above stated facts, it is requested that, similar to BSCS and BSIT graduates, BSSE graduates should also be consider eligible for computer related jobs, including Senior Elementary School Educator in Computer Science, Secondary School Educator in Computer Science, College Lecturers, Computer lab staff, Web Masters, etc . It is also requested, in their job advertisements, the Government of Punjab announce BSCS, BSIT, and BSSE graduates equally eligible for the advertise position. At the end I would make a humble suggestion that Software Engineering graduates must not be declared ineligible for the positions of Senior Elementary School Educator in Computer Science & Secondary School Educator in Computer Science. I am sure the kind consideration of concerned authorities will save the future of a large number of Software Engineering graduates in Punjab, Pakistan. The women economic development in Pakistan has been quite ignored and over the years most of the programs/ interventions have been directed towards removing violence against women, women’s primary education and health care, women crisis centers and most recently a rigorous drive on political empowerment of women by giving them 20% representation in the National Assembly of Pakistan. Despite governmental commitment and donors efforts to reduce gender inequalities, nothing has been done with regards to developing proper women economic action plan to uplift women socio-economic status. On ad hoc basis, some common facility centers and vocational/technical training institutes to enhance female participation rate have been established which provide traditional skills. Also, to mobilize youth energy into economic sectors, government has launched internship programs and other incentive; yet its impact on the grass root level is not visible due to lack of information and knowledge to young females regarding these facilities. The result is that many girls become confined to their homes. The question we have to answer for ourselves is whether we want to live with the existing situation or whether we want to bring a productive change in our society. Online earning is the most recent opportunity to bring this change. It provides a graceful solution to raise the economic as well as social status of Pakistani women. Also, foreign exchange earn through online earning can be integrated with the national economy. Above all, it will help us to transform the most suffocated population and wasted human resource of the country into a valuable asset. Online earning is a new catch word. Success stories of multi-million dollar blogs and high profile brand partnerships on the Internet have created an impression that earning online is a monkey-eat banana business. If someone thinks so then he/she lives in a fools’ paradise. Earning online is as tedious as any other serious business and should be treated like so! The diversity of options available to earn money online makes it a tedious task. No single solution can be offered as a silver bullet. The truth is that different ways to make money online involve different sort of work and require different types of skills. The high-paying options require technical skills, which is why many people end up with lowest paying options and then conclude that it’s impossible to make money online for a decent living. The entrepreneurial challenges of online earning require special skills, aptitude, passion, and commitment. New comers to this field need special training which prepares them to cope with these challenges. Unfortunately, none of the Pakistani university or any other educational institutions offer such training. Keeping in view the need of the time, following contents for an intensive training has been proposed. These contents can provide essential knowledge & skills required for online earning. It would not be out of place to mention that the success of this training absolutely depends on resource persons. Conventional teachers who read books and deliver lectures will ruin the ethos of the training. Only resource persons who have practical experience of online earning can bring fruitful results. Introduction to Online Market & Niches: Bloging (hosted & owned);YouTube , Tweeter, Facebook, Google Adsense; Search Engine Optimization; Affiliate Market; Online Service Industry; e-tutoring; Article & Review Writing; Selling on eBay, OLX, and Fiverr; and New Trends and Opportunities. Free Lancing: Working on Elance, 99Designs, oDesk, Freelancer, and other Free Lancing Websites. Educational Institutions can offer this training in the form of a 6 months Diploma under the title of “Diploma in e- Entrepreneurship”. Note: This is a Copyright Material. It is your legal and moral obligation to get permission from the author before using it for commercial purposes. • What is Communication and Why Is It Important? Knowledge Economy is the latest term inspiring the every nooks and corner of human society. Although, there is no consensus on the definition of this term, it is usually referred to an economy that focuses on the production and management of knowledge in the frame of economic activities through the use of knowledge technologies. The key resource in Knowledge Economy is knowledge which is the driver of productivity and economic growth (Kogut & Zander, 1992; Nonaka & Takeuchi, 1995; Choo & Bontis, 2002; Zítek & Klímová, 2011). Yet, success depends on the effective use and exploitation of all types of available knowledge in all manner of economic activity. (DTI, 1998). The Knowledge Economy is different from the traditional economy in several aspects. One of the key aspects is that it considers that the application of knowledge adds more value than the traditional economic factors like capital, raw materials and labour. It is the phenomena which is transforming conventional time and space bounded business world into a boundary less 24/7 business arena offering economic opportunities for those who have the capacity to use available knowledge in innovative ways. As a result, the business world has become deeply innovative and global in nature (Chichilnisky, 1998). – An economic incentive and institutional regime that provides good economic policies and institutions, which promote efficient creation, dissemination, and use of existing knowledge. – A modern and adequate information infrastructure that facilitates the effective communication, dissemination, and processing of information and knowledge. The knowledge economy has given a new dimension to the business world. Production is being rationalized globally, with organizations combining the factors, features and skills of various locations in the process of competing in the global market. Most of the organizations with a dominant position no longer belong to just one leading country. They are multinational and transnational. To compete with their rivals successfully organizations must now compete head-to-head in all markets. In this new global competition, competitiveness depends increasingly on the coordination of, and synergy generated between a broad range of specialized industrial, financial, technological, commercial, administrative and cultural skills which can be located anywhere around the world. These challenges compel organizations to become learning organizations; continuously adapting management, organization and skills to accommodate new technologies to grasp new opportunities. Also they need to promote inter-organization and intar-organization linkage to strengthen their system of innovation (Houghton & Sheehan, 2000; Powell & Snellman, 2004; Cooke & Piccaluga, 2006). Information and Communication technologies (ICT) serve as the technical backbone to the knowledge economy (Henderson, 2000). Yet, Knowledge economy primarily reliance on intellectual capabilities and knowledge-intensive activities which can be offered either as a product or a service (Powell & Snellman). A higher level of knowledge and skills which cultivate creativity, innovation and entrepreneurship are much demanded from individuals and organizations to survive in knowledge economies. While there is growing agreement on the importance of skills per se as a key engine for economic growth, there is far less agreement on which competencies and skills make the difference. Some of the most agreed upon workplace competencies reported by Houghton & Sheehan (2000) are: Inter-personal skills, team work and the ability to collaborate in pursuit of a common objective, leadership capabilities, intra-personal skills, motivation and attitude, the ability to learn, problem-solving skills, effective communication with colleagues and clients, Analytical skills, ICT skills. Trent Batson, the Executive Director of The Association for Authentic, Experiential and Evidence-Based Learning has listed following 12 important skills required in today’s knowledge economy:. On the other hand, maintaining a reflective and integrative approach to new trends, new ideas, and new opportunities from anywhere in the world–what fits and what doesn’t fit with the core service? Formal education, lifelong learning and fundamental research are central to economic progress in the new economy. At the same time, growth in the knowledge economy is founded on discovery and innovation, in which the research carried out in educational institutions, has a central role. As a result, educational institutions are considered as the key driver of knowledge economy. This role demands a paradigm shift in the mindset of educationists, students, policy makers, and other stakeholders to equip students with appropriate knowledge and skills of knowledge economy. On the contrary, too often students walk out of educational institutions without having clear understanding of the knowledge economy’s challenges. Many of them are confused with the terms like “Global economy”, “flat world”, “knowledge economy”, and “21st Century Skills”, ‘information society’ (Giddens, 1994), the ‘learning society’ (Commission of the European Communities, 1996), the ‘network society’ (Castells, 1998), the ‘learning economy’ (Field, 2000; Lundvall & Borás, 1997), and ‘economies of expertise’ (Venkatraman and Subramaniam, 2002), etc. Consequently, they often fail to meet the challenges of the employment market. It is an undeniable responsibility of educational institutions to eradicate students’ intellectual ambiguities about these terms and prepare them to face the challenges of knowledge economy. The knowledge economy generates a strong demand for university graduates because of the very nature of scholarly activity in a university. According a latest report, by 2018, the economy will create 46.8 million new jobs. Nearly two-thirds of these will require workers with at least some college education, with a slight majority requiring workers with a Bachelor’s degree or better. Therefore, students have to be trained to work in today’s technology driven, knowledge intensive, complex work place. It will require to motivate students to learn multiple skills related to science, math, technology, and engineering. Mastery in communication, soft skill, standardized professional practices, and social engineering are some other areas which ensure students’ success in the knowledge economy. At the same time, students must be trained to quickly acquiring globally available knowledge. As a matter of fact, whether prepared or not, no nation can afford to ‘delink’ from global information connectivity and the knowledge economy. Countries like Pakistan have to take serious measures to convert conventional educational institutions into as the key driver of knowledge economy. It may require multi-dimensional measures including changing mindset of policy makers and other stake holders, restructuring of the national ICT infrastructure, and most importantly inspiring students to learn multiple skills required in the knowledge economy. Inspiration usually comes from seeing people working in professional world. Generally, students see their teachers as their role models. Therefore, it is equally important that teachers should be equipped with the knowledge and skills which are required to understand the challenges and opportunities of knowledge economy. On the contrary, there are serious concerns about the capacity of teachers. Academic institutions have to prepare teacher training programs to upgrade teachers’ knowledge and skills related to the knowledge economy. These training must focus on: (i) increasing educational opportunities to learn appropriate skills for knowledge economy; (ii) changing the mindset of teachers towards technologically based global entrepreneurial competition; and (ii) to upgrade the core KE skills base of teachers to improve their pedagogical skills. Along the road of life, you make many decisions. The decisions you have made will range from the trivial to crucial. For computing students, it is very important that what you decide now will determine the kind of person you become later. Taking decisions at this crucial stage will affect your future. So it’s not best, however, to base your career decision on today’s environment as you will enter the workforce after a couple of years from now, for example, after completing your degree program. So where is the future of the labor market headed? You may have read, as it is predicted, that between 2013 and 2020 industries occupations related to health care, personal care and social assistance, and construction are expected to experience the fastest job growth. Some argue that boomer generation is coming into retirement, 5.7 million new jobs expected by 2020, an increase of 33%. But you must not forget, the latest technologies have taken up many jobs which were usually performed by human. As a result, we may not have the expected number of jobs. So, you must keep an eye on the trends of technology driven global society. Someone may suggest you that skill of Front-End Development, including the layout and functioning of a Website using Java, ASP.NET, HTML and other languages are enough. In reality, it is not the case. Be vigilant, being computing graduates, to be hired in today’s competitive market, it’s crucial for you to prove that in addition to computing and programming knowledge, you have strong command on soft skills, communication and critical thinking skills, and sales and marketing savvy. It is most important to be aware of the most in demand skills. For example, according to Baseline.com 2013’s top in-demand technology Skills include Mobile Development (iOS, Android). Gartner forecasts that mobile device sales will reach 1.9 billion this year, driving the demand for Apple and Android hotshots. Cloud Computing Cloud computing is expected to grow to a $121 billion market by 2015. Big Data expected to grow into a $16.9 billion market by 2015, enterprises will continue to seek IT workers who know Hadoop, MongoBD and NoSQL. Ruby on Rails has won a “Hacker of the Year” award from Google. Java Java has been holding steady with the #2 popularity rating, as calculated by the TIOBE Programming Community Index. (C is #1.). PHP This server-side scripting language is now installed on more than 244 million Websites. Linux More than 90% of today’s 500 fastest supercomputers run a version of Linux. And its mascot, “Tux,” turns 17 this year. It is equally important to be aware of those skills which are not in demand. For example, in his article Brianlowell has listed top 10 technical skillsets that are becoming a thing of the past. These are Windows XP / 2003 and Earlier, Silverlight, Adobe Flash, COBOL, FORTRAN, and other Mainframe Languages, Lotus Notes Administrator, Novell GroupWise Administrator, Traditional Telephony, Those with only Server Administrator Skills, Help Desk Technicians / Level 1 Support, PC Repair Technicians. He concluded his article with comments that the pace of change in IT is very high and increasing at an ever faster rate. To keep up and stay employable, it is important to see what is happening and be prepared for what is coming. You must be aware of the fact that your technology skills have a two year half-life. The reason your technical marketability degrades so quickly is because technology, like time, marches forward. Software companies continually update their applications. Hardware vendors upgrade their hardware and software control systems on an on-going basis. Also, technology oriented mega-trends like cloud computing and the proliferation of mobile devices are continually driving and transforming our industry. These are the skills required to determine the needs of IT to create and maintain software, products and services while taking into account many factors and stakeholder requirements. This is crucial to software development and many other evolutions that go on within IT. In the last 3 months, this skill has seen an increase in value/demand of 27.3 percent. While engineering and analysis skill has been in demand for years, according to Foote, the cloud is driving much of this growth. “Everyone who invests in systems has to do requirements analysis and what’s happened is the cloud,” says Foote. He adds that there is a chance that analytics, security or mobile could also be a part of this upward trend. Employers are paying a skills premium of 10-14 percent of base pay for this role, which has grown 20 percent in the last three months. HBase is an open-source non-relational database originally created by Google. It’s written in Java and has been a top level project within Apache’s Software Foundation. It’s being used more as companies start to incorporate big data into their decision-making processes. HBase is used for real-time read/write access to large datasets. “This is the push for all different types of technology companies to harness the power of big data and what it can do for them and their customers beyond the reporting and analysis,” says Ed Nathanson, senior director of global talent acquisition with Rapid7. Skills in HBase are paying a skills premium on average of 13 percent and value/demand for this role has grown 18.2 percent in the last 3 months. People who use this skill in their daily workflow take company objectives and develop analytic models, assessments and solutions. They work across all areas of the business, from Web developers to accounting, to database teams. These individuals normally have an advanced degree. The adoption of big data and the evolution of the data scientist are driving demand for this skill upward. “Companies have been hiring PhDs to do quantitative analysis and regression analysis for years, but now it’s become the province of data scientists, where a lot of the work being done in analytics starts with quantitative analysis skills,” says Foote. Quantitative analysis has seen 18.2 percent growth in market value over the last 3 months. IT governance skills help companies and organizations ensure that IT is both effectively and efficiently enabling their business objectives while remaining compliant with industry regulations. Companies large and small will have different compliance and governance needs, but in general the bigger and more regulated your company or industry is the more IT governance structuring there should be. “There is a trend across all industry, verticals and businesses to be compliant whether they are large enterprise or small business,” says Nathanson. Value/demand for this skill is up 15.4 percent over the last 3 months, according to Foote Partners research and it’s paying an average skills premium of 15 percent of base pay. C, C# C++ and Java are some of the foundation languages driving technology these days, but what is interesting, according to Foote, is how demand for this skill has risen. “C# has been around for a long time. It’s remarkable to see this type of growth. There are a lot of people who have C# skills so it’s not supply,” says Foote. Microsoft Windows and .NET are driving demand in this skill. “If a company has built its foundation with Microsoft technologies then, of course, these skills will be in demand,” says Nathanson. C# skills earn a skills premium of roughly 6-10 percent of base salary, but value/demand has risen 14.3 percent in the last six months, according to Foote Partners research. ITIL best practices are part of a library of books that outline the management of IT development, infrastructure and operations. ITIL’s systematic approach to IT management helps companies improve IT services, reduce spending and deliver a better level of customer service to their clients. ITIL skills and certifications regularly make the list of most in-demand by employers and this trend is expected to continue according to experts. The demand for ITIL v3 skills has been rising sharply over the last year. It has grown in value/demand 9.1 percent in the last six months, 20 percent in the last year and 33 percent in the last 15 months. IT pros with these skills earn a skills premium of 10-14 percent over base salary. Companies are applying the lessons learned from years of business architecture and are now trying to incorporate those lessons into the parts of the job that deal with technology and data. According to Foote, architecture roles are about the long term and are hard to justify ROI. As a result when the economic downturn happened in 2009 and 2010, many companies shed their network and other IT architects. “A lot of companies took down and disassembled their enterprise architecture groups. That’s all changed now. You can’t do advanced analytics without a lot of data cleansing, data quality analysis, data management and data architecture, says Foote. Enterprise Architecture has grown 30.8 percent in value/demand over the last 12 months. IT has gone from the Maytag guys who maintain the servers and email to the driver of big business. Combine that with the fact that technology changes at lightning speed and it’s clear why you need infrastructure architecture skills in your organization. They often work to align long-term business strategies and technology. “Companies really need someone to come in and architect what things will look like and be the person who makes sure all those systems play nice together and have the right foundation in place…,” says Nathanson. IT Pros with infrastructure architecture skills are earning a skills premium between 12-17 percent of base pay and value/demand for this skill has risen 7.1 percent in the last 3 months. Security is at the forefront of every CIO’s mind. The relentless waves of news stories detailing major corporations that have been hacked grow larger each week. To battle the onslaught of cyber-terrorists and script kiddies you need a solid security architecture. That doesn’t happen by accident. “Companies are fearful. It’s not getting better. Companies are seeing that they are closer than ever before to dangerous breaches. Security needs to be properly architected, because it cost a lot of money,” says Foote. IT security professionals with these skills earn a premium of between 14-18 percent of base salary, according to Foote Partners. These skills have also seen a considerable 23.1 percent increase in value/demand over the last twelve months. Big data is big business and companies are looking more closely at how to interpret the many disparate sources of data they have. That’s where BI skills come in. “This is still an immature area for a lot of companies. Businesses are starting to understand that they have a lot of data internally that can help them with market trends, where and how they can make forecasts with their sales and marketing, as well as help the executive team make decisions,” says Rob Byron principal consultant with WinterWyman, an IT recruitment firm in the Northeast. On average, BI skills pay a premium of 12 percent of base salary and have seen 9.1 percent growth in value/demand over the last 3 months. Business analysts can be found in many places in an organization. They work to find, document and assess the risk and impact of changing needs business needs and then they work with IT to get requirements and deliverables to support the business throughout implementation phases. On average, IT workers with these skills earn a skills premium of 12 percent of base pay. Value/demand for these skills is up 9.1 percent in the last 12 months. The world of IT and business is complex and continually morphing. IT touches every part of the business, which often times has global implications. Remote workforces, BYOD and other factors create challenges when it comes to creating an environment where workers can be productive, collaborate and innovate in a seamless manner and that’s where unified communication skills come in. Unified messaging skills are averaging a skills premium of about 12 percent of base pay and have seen a rise of 9.1 percent in value/demand in the last six months. According to Foote, companies are trying to incorporate risk assessment and analysis into their workforce and the IT decision-making process, spurring demand within the tech industry. “Every company is doing risk assessment and analysis; it’s nothing new. Companies are trying to build risk assessment and analysis into several jobs within their company. They’ve set it up as a core skill like in the old days of project management,” says Foote. Risk assessment and analysis skills are helping IT pros earn a skills premium of roughly 13 percent of base pay and value/demand has grown 18.2 percent in the last 12 months. While this didn’t make the list, Foote notes that there is a lot of interest in this area. Mobile development skills continue to be in short supply and as more companies start to focus on mobility, the demand for mobile developers has continued to increase. According to Foote, that isn’t going to change anytime soon. PaaS, SaaS and virtualization skills will likely be more in demand as more companies use the cloud to reduce costs. However, it didn’t make the list because, according to Foote, the data on the cloud market isn’t mature enough. That said, the market for cloud certifications has grown and, according to many analysts, there is an impending Cloud Skills Gap for IT. “Companies will put out ridiculously unrealistic requests for workers. There’s no silver bullet anymore in hiring, these people don’t exist. You have to build them. That is what’s happening with cloud computing right now,” says Foote. Our society is passing through an unprecedented change. Ever improving high speed communication links and transportation means have brought global boundaries into the reach of a common man. Our Segmented world has become a global village. The latest technological advancements, social engineering outcomes, and the emergence of new knowledge boundaries have revolutionaries our ways of working, thinking, and living. Even, these changes are transforming our values, believes, thoughts, associations, and social behavior. For example, at one time literacy was considered to be the ability to read and write, and perhaps do math. But, the current revolutionary era has increased the intensity and complexity of literate environments. So, a literate person now needs to possess a wide range of abilities and competencies. Now literacy has become a necessary condition to equip people to participate in the local, national and global economy, culture and polity. Similarly, a generation ago, initial education was expected to last students for a lifetime. But, at the current rate of growth of knowledge, education and training need to prepare learners at all levels for more rapid change than ever before, for jobs that have not yet been created, using technologies that have not yet been invented, to solve problems that can not be foreseen. At present we are experiencing an era of knowledge eruption – named as the knowledge revolution. At the time when you are reading this message, somebody at the far end of the Atlantic will be working on new trends, tools or concepts allied with the milieu of Knowledge Based Technologies and its implementation. The amount of technical information is doubling about every two years. It is estimated that the rate of information doubling will occur every 72 hours. President of Georgia Tech Institute of Technology wisely worn the academic community about the fact that a student leant knowledge in 1st year will become outdated by the time he will be studying in 3rd year of his/her study. The process of current change is based on three defining forces: the rise in knowledge use in economic activities, the increasing globalization of economic affairs, and the high pace of technological advancements particularly information & communications technologies. For some, this change is the driving force behind the current progress; it has created wealth, expanded opportunities and provided a nurturing environment for individuals, organizations, and countries. For others, these changes have created unemployment, poverty and marginalization, and are thus perceived as a force institutionalizing social crises. They believe that current changes have aggravated inequalities both within and between communities, societies, even countries because of the sharply diverging experience at individual levels. It has increased economic and political insecurity even for those who have benefited in monetary terms. Consequently, the digital, economic, and literacy divides are rapidly expanding in countries that have already been encountering the conventional dilemma of “have” and have not”. As Chairman of the Pasha Trust, I am personally a staunch advocate of the fact that education is the only mean to combat these challenges which are the concerns of the global community. Education is the process by which society deliberately transmits its accumulated knowledge, skills, and values from one generation to another. Yet we need to ensure that young people get the right education which prepares them to meet challenges of the 21st century. It is equally important to note that skills and technology have flattened the world so that all work that can be digitized, automated and outsourced can now be done by the most effective and competitive individuals, enterprises or countries, wherever they are. Therefore, we need to upgrade the existing education model to cater the need and demands of today’s technology intensive knowledge driven complex work places. For this, we need to invent new educational processes which not only accommodate the high pace of knowledge eruption, but also ensure students’ intellectual and professional development with a global mindset so that the successful graduates can take up their role and responsibilities of global society. Although PIED is affiliated with the University of Sargodha and follows the University curriculum for its academic programs. Yet, to maintain its pride and distinctiveness PIED offers inspiring teaching & innovative learning. Our Branded Education, Personality Grooming Program, &Trans-Disciplinary Approach ensures students’ success in today’s Knowledge Economies. PIED is teaching its students with a global mindset and preparing them to compete in the global knowledge economies. For this, adopting a futuristic approach, the Institute offers additional market oriented courses, special workshops, and practical activities. PIED’s Personality Grooming Program aims to produce professionals of international standards ready to work in multinational companies. The Institute’s Trans-Disciplinary Approach prepares students to get jobs in multiple domains. In fact, PIED is developing its own brand. PIED’s graduate will be acknowledging as a quality brand of computing graduates in local as well as global market. For all these additional support, the students do not pay any additional fee. Adopting appropriate curriculum and its supporting pedagogy that meets the needs of the students, demands of the global employment market and fulfills the accreditation criteria of national and international bodies. The faculty, staff and administration at PIED has a long standing commitment to international education and to the promotion of global understanding and goodwill. They also strive to serve as a model for the advancement of professional standards and quality instruction in intensive programs in Pakistan. The Institute is equipped with state-of-the art teaching technology and other educational resources. PIED’s excellent teaching pedagogy, well-designed curriculum, purpose built infrastructure along with professional competency, commitment and handwork provide a congenial environment for learning. It’s Culture Sensitive Student Centered Friendly Interactive Learning Strategy gives the students ample opportunity to develop the necessary skills in their respective fields and helps faculty and staff to offer the best possible service and the greatest enjoyable and memorable lifetime experience at the most economical and competitive price. Effective communication is one the most distinctive feature of PIED’s students. The English language training program designed to provide a high quality intensive training to assist students in attaining linguistic proficiency and broadening their cultural awareness for success in their academic, professional, and personal lives. The Institute strictly follows the QAA Quality Assurance Code of Practice and PIED’s Knowledge Management Strategies to maintain the quality of teaching, curriculum, resources, staff, management, premises, and welfare and to meet the requirements of various accreditation bodies. The Institute is open throughout the year and offers a wide range of under-graduate & post-graduate programs in multi-disciplinary domains including Computer Science, IT, Commerce, Accounting & Finance, Business Administration, Mass Communications, Psychology, etc. In addition the he Institute also offers diploma, short courses, and certifications in IELTS, TOFEL, Teacher Training , Management & Accounting, Adult Education, Computer Software & Hardware, ICT, etc. The Institution especially caters the individual needs of special needs students through the use of Assistive and Rehabilitative Technologies. Finally, I would like to comment that Pasha Institute of Emerging Disciplines (PIED) will bring high quality education in the reach of common people. I am sure all those students who are getting admission in PIED’s academic program will always receive a warm welcome from teachers, staff and students alike. Students will find the teachers and staff dedicated to helping them to achieve their goals and to make their stay enjoyable and memorable.